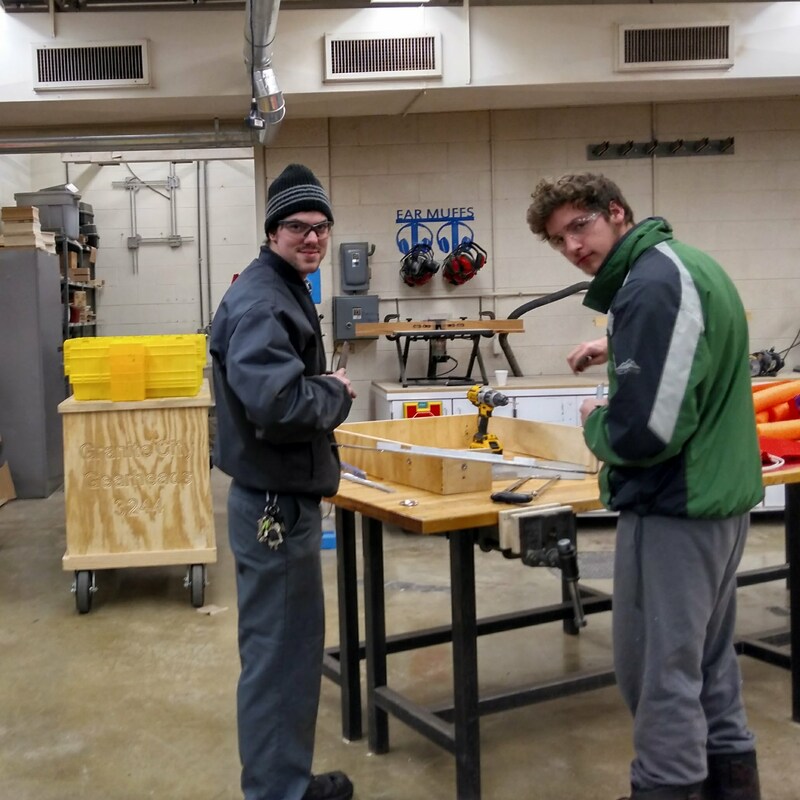 Now that the robot is in the bag, the team turns it's attention to the other details that are a part of preparing for competition. We are working on remaking our red bumpers, the ones that we had did not quite meet our standards, so we decided to start over with them. In addition, the team decided that we really needed to make team buttons to give away at competition. Collecting buttons is a favorite pastime of many of the students who attend FRC competitions, and we decided that we needed to participate in that by making team buttons. 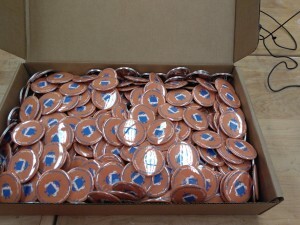 Yesterday, we started making the buttons to give out. Natalie and Rose spent the night putting them together. 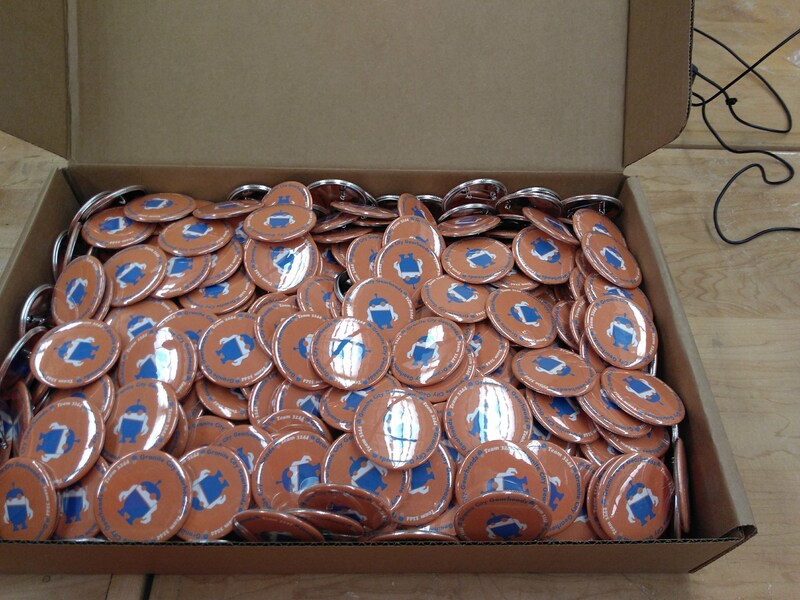 We are about half-way through the buttons to be assembled. A big "Thank You" goes out to the team from Becker, C.I.S. 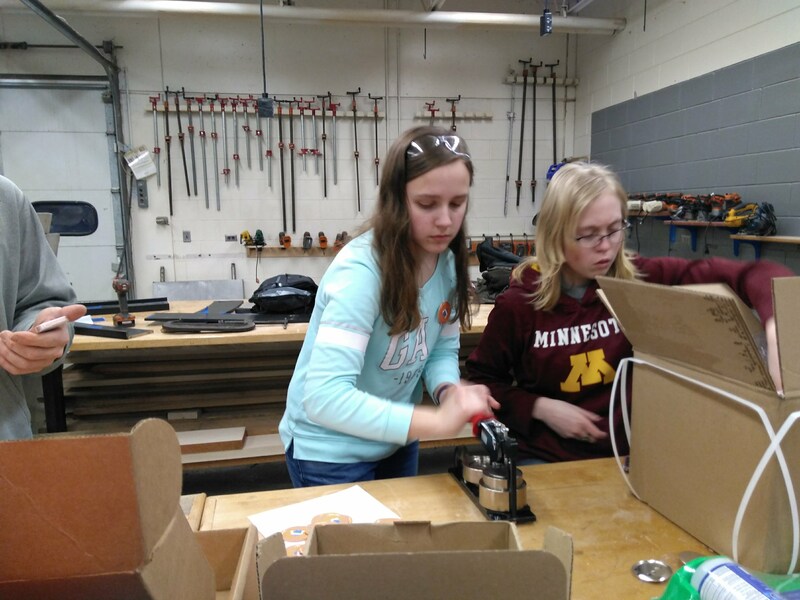 (team 4607), who loaned us their button maker, along with advising us as to what we needed to buy, and a quick tutorial on how to use the button maker. The buttons assembled, so far.